The bonnet provided predominantly good or adequate protection to the head of a struck pedestrian, with poor results recorded in the stiff windscreen pillars. The bumper provided good protection to pedestrians' legs and the protection of the pelvis area was also good at all test locations. 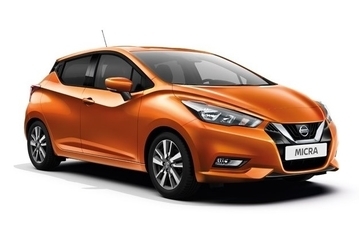 The Micra has, as part of its option pack, an autonomous emergency braking system that detects pedestrians. The score for that system is not included in this rating. naderen van een langzamer rijdende auto Aanrijding voorkomen tot 50km/h. Snelheid bij aanrijding gereduceerd tot 70km/h. Aanrijding voorkomen tot 55km/h. 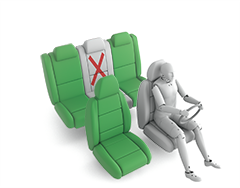 A seatbelt reminder is standard for front and rear seats. The standard-fit autonomous emergency braking system performed adequately in tests of its effectiveness at highway speeds. The Micra also has as standard a driver set speed limitation device. As part of its option pack, the Micra has a lane keep assistance system, the score for which is not included in this rating.